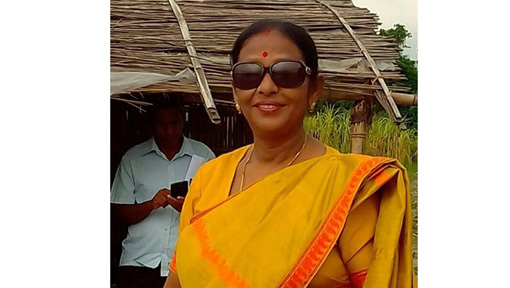 Lakhyahira Das Choudhury, Block Development Officer (BDO) of Bilasipara Development Block of Dhubri district has been arrested by police on Saturday. She has been arrested in connection with anomalies in PMAY funds. Rohan Kr Jha, Sub-Divisional Officer of Bilasipara Sub-division of Dhubri district had ordered to conduct an inquiry into the matter based on a complaint lodged by Sahida Bibi, daughter of Kheskar Ali of Khudi village under Udimari Goan Panchayat. Sarfaraj Houqe, Circle Officer of Bilasipara, conducted a threadbare inquiry into the matter and finally lodged an FIR (case No 1010/2018) under Section 120(B) / 406/409/466/468/471/420 of IPC at Bilasipara Police Station along with a finding report. In the FIR it was mentioned that the money, which was originally sanctioned in the name of Sahida Bibi, daughter of Kheskar Ali, was transferred in the name of another beneficiary, Sahida Bibi, wife of Awal Houqe of the same village. In this connections, the role of the BDO and three other concerned persons identified as Safiur Rahman, Gaon Panchayat Secretary, Hiranya Kalita, Junior Engineer and Accountant Jyotirmoy Chakraborty of the Bilasipara Development Block have been found suspicious. “The BDO has already been arrested while three others are now absconding and soon all accused would be arrested,” said a Bilasipara police official.